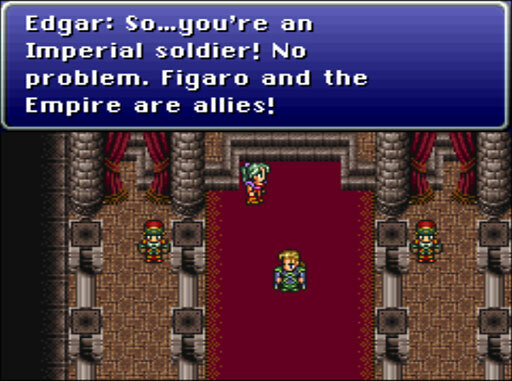 » FFVI: Figaro, Imperial Ally…Really! Locke leaves Terra to Edgar’s good graces. Edgar’s attempts to butter up Terra suggest that he thinks she’s still on the side of the Empire, possibly even a spy.